Update Sep, 2017: September update of Power BI Desktop includes some of the important elements that were mentioned in this series: Drillthrough, Explain the Increase & High Density Sampling. Tableau Marketing Team removed the 8 ways Power BI Falls Short section here, and softened their anti-Power BI tone. Power BI released three more game-changing features: Bookmarks, PowerApps Custom Visual and the new Tooltips. 3 months ago, I published the 8 ways Power BI Falls Short – Or Not. If you missed the 3-piece series. In the first 3 parts of this series, we have demystified Tableau’s main claims against Power BI. In the next part, we will showcase the unique features and capabilities that make Power BI so special, and share the 8 ways Power BI Flies High. You or your colleagues want to work with the best BI tools. You are an experienced Tableau user, and think that Tableau Software is the best BI tool. You tried Power BI in the past, but it didn’t feel right. You have recently heard a lot of hype about Power BI, and you don’t understand why. You are considering Tableau vs. Power BI as your next BI investment. You are facing resistance within your organization to move from Tableau to Power BI. You may ask now – Why only 8 ways? Why not 12 or 30, for example? You are absolutely right. There are plenty of reasons to invest in Power BI. Here, for instance, are 30 great reasons to choose Power BI (a fantastic and must-read article by Matt Allington). When I refuted the 8 claims by Tableau’s marketing team, in the first 3 parts of this series, the common message was “Tableau Marketing team, you are wrong, Power BI can do it too“. My narrative was a defensive one. It could be sounded as if Power BI is just matching the superb capabilities of Tableau. So, it’s time to stress out the 8 ways Power BI is superior in comparison to Tableau, or any other BI solution for that matter. I selected the number 8 here as a kind of a counter-attack to the 8 Ways Power BI Falls Short by Tableau here, and as closure for this series. I must admit – I hate to use numbers in blog titles, but it seems that numbers in titles get the reader’s attention (A scary or ridiculous human behavior?). The Huffington Post even published 13 rules here to help you decide which number to select as a title for your article. This can’t be serious! Is it? Anyway, back to my second point – I am sharing 8 Ways in the hope that it will get your attention. Unlike any other BI solution, Power BI is tightly integrated with Excel to accomplish multiple high-value business analytics scenarios. In the next blog post of this series I will explained these integration points in more details. For now, let’s just review the main ways Excel and Power BI are so well integrated, and briefly explain why it is so important. 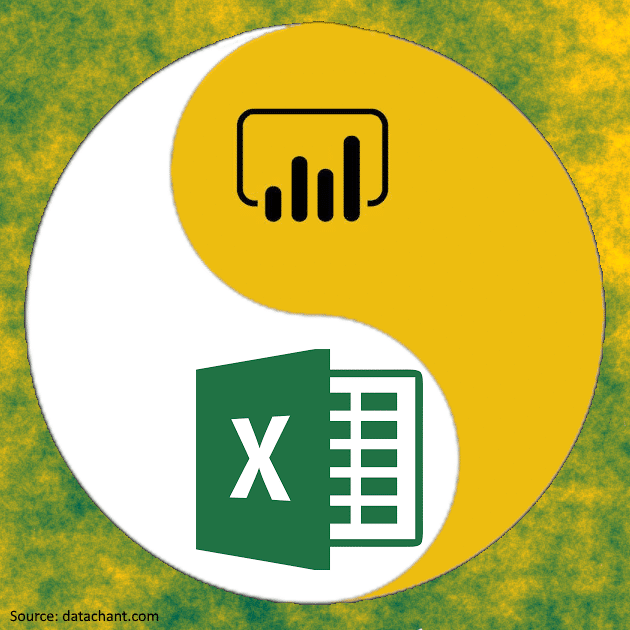 Unlike other BI tools, which load data from Excel, and export to Excel (The latter can be even considered as their most common button after OK, and Cancel, read more here), Power BI and Excel provides 6 additional integration points. The Power Query Engine is shared by both tools. You can move queries from an Excel workbook to a Power BI report, and vice versa. Power Query provides unmatched self-service data preparation capabilities. We will mention it in more details as the 2nd Way Power BI Flies High. For now, as we focus on the integration between Power BI and Excel, the fact that both products share the Power Query engine, means that you can easily develop ETL in one product, and migrate the queries to the second one (Migration can be even done via Copy-Paste of the actual query objects). The Power Pivot Engine is shared by both tools. You can create relationships between multiple tables, apply advanced calculations using DAX, and create robust and agile BI solutions in 10% of the time it takes in traditional BI solutions. 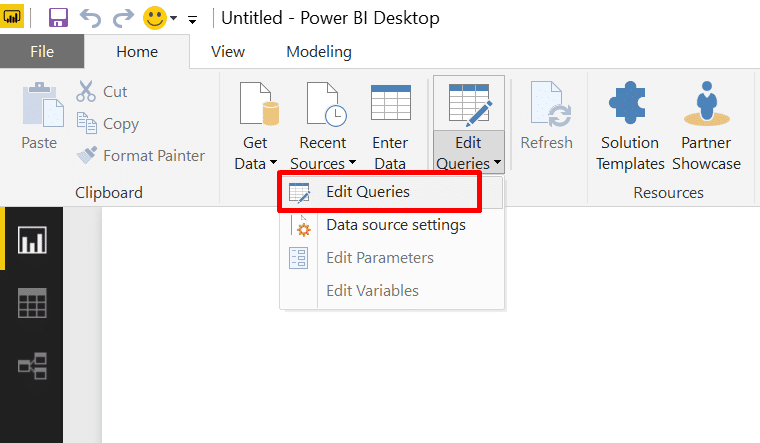 In Power BI Desktop, you can import the contents of an Excel workbook, along with its queries and data model (Which were created in the Power Query and Power Pivot engines in Excel). From the Power BI Service, you can download an ODC file and open it in Excel. This file will create live connection with your Dataset on Power BI. You can create Pivot Tables and Pivot Charts without the need to copy your data to Excel. This allows you to keep a single source of the truth. There is no need to export the data to Excel, and create multiple copies of your data. You can install the Power BI Publisher in Excel and pin tiles in your Power BI Dashboards. Power BI Service and Excel online offer seamless experience. Upload your most important Excel workbook to Power BI, and you’ll be able to consume it from Power BI Dashboards, and even drill down to the report to edit it on Excel Online. The Excel-Power BI integrations above, create a rich ecosystem for data innovation culture (watch my presentation here), and enable quick adoption of successful self-service BI projects. Stay tuned for my next blog post to learn more about the integrations above, and their importance. You might have missed it, when you tried to use Power BI Desktop for the first time. Power BI contains the Power Query engine along with its wonderful user experience, which allows you to import, prepare and transform your data into insights. With few clicks of the mouse, and automate this process, so next time you refresh the report in the desktop, or via the scheduled refresh on the service, you can say goodbye to repetitive manual data preparation work! Read more here. Power BI, Excel and SQL Server Analysis Services share the same analytics engine, which was first introduced as an Add-In to Excel 2010, and is also known as Power Pivot. The engine is a game changer in self-service BI. With its robust formula language DAX, and the ability to load multiple tables, define relationships and feed them to visuals, you can create powerful and agile analytics solutions to answer any business requirements. Read more here. The stunningly beautiful yet simple and clean visuals are probably the first thing you have noticed in Power BI. What you may have missed – is the ability to define unique interactions between any selected pair of visuals. When you enter Edit Interactions mode, you can select any visual, and then define its effect on all other visuals, as seen in this screenshot. You can edit the interactions from both Power BI Desktop and powerbi.com service. Power BI team opened the visualization engine to the community, and offer rich visuals on Office Store here. You can even develop your own custom visuals. Learn more here. 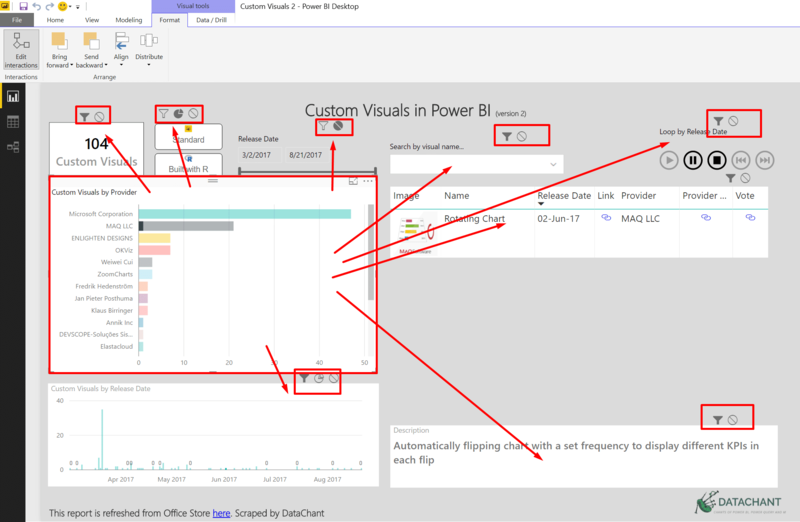 To import custom visuals to your report, click From Store or From File in Home tab of Power BI Desktop. You can explore the different custom visuals in this Power BI Report (Get it for free, when you subscribe to DataChant, and provide your name, title and company). Power BI is unique in its architecture. If you already have data on Microsoft Azure, you will not find a matching performance and quick responsiveness of the report’s user interface in other solutions. Using Azure SSAS allows you to create live connection between the report and your datasets, and enjoy the scalability and robustness of the Microsoft cloud. If you store your data on-premise, you can deploy Microsoft Power BI On-Premises data gateways to connect your data to powerbi.com (Learn more here). You can even have a full on-premise solution with Power BI Report Server (Learn more here). With the Q&A feature that processes natural language questions and creates reports on the fly, and Quick Insights that harness the power of Azure machine learning to generate new insights and brainstorm new ways to explore your data, Power BI provides numerous scenarios to generate more insights and support the following decision-making experiences. You can expect much more to come in that area (as announced here), once Power BI will integrate PowerApps in its reports, and allow you to create “write-back” scenarios, and trigger certain actions from your Power BI reports. 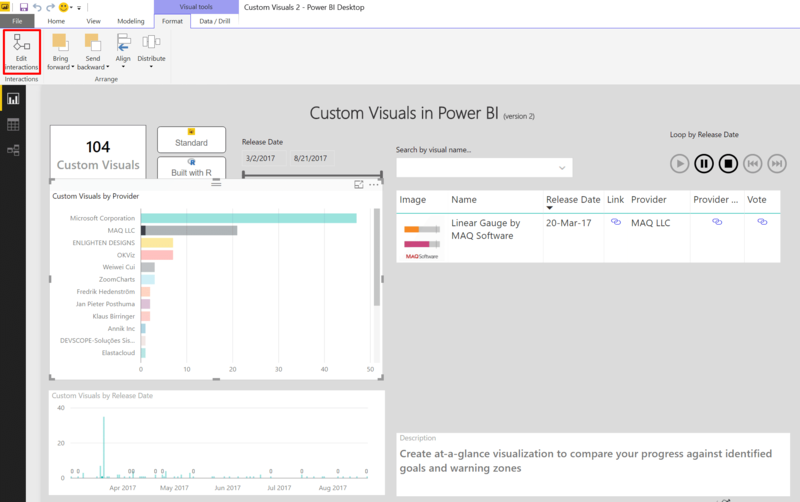 In addition, Power BI will allow you to click “Explain the Increase” on specific visuals, and harness its Azure computation horsepower to identify underlying factors behind major trends, changes and anomalies. This is probably the most important way Power BI skies high, because it’s all about YOU. Great professionals like you, will help you in any step of your way. Microsoft Power BI community here has many resources and forums to answer any technical question you have. Follow the blog posts here and stunningly beautiful reports in the Data Stories Gallery here, or share your ideas here, and vote for the best ideas you want to see as new features in Power BI. While I am sure that Tableau community is as great as Power BI’s, as the people share the same common interest and passions, there is one unique thing in Power BI Community – The constant sheer of joy that its member get, as they discover new features in weekly (for the service) and monthly (for the Power BI Desktop) updates. Welcome to Power BI community. Hope you enjoy the new ride. Great summary of Power BI key advantages ! I am sure this is only the beginning of a long and exciting journey. Thank you for sharing. Hope that this post can serve as a map for those who want to explore the new continent. Any word on when that 3500 limit might be removed? I am a longtime user of power bi but haven’t yet seen this ‘explain the increase’ feature and got no real info searching for it. Please help point to a post explaning this feature. I think we are focusing on the wrong “competitor”, Tableau or any BI solution are not really competing with PowerBI, at least in my experience, a lot of Enterprise depends on local Database and MS access + vba solution for their BI needs, and that’s really where PowerBI can bring some sanity. You are absolutely right. The Power tools are already in Excel, waiting to be discovered by the masses. Fantastic post, Gil!.I love the visualization of the custom visualizations idea, so META! I really love meta dashboards. 1. For the benefit of others, I suggest a similar comparison between Power BI and Qlikview. 2. When will Power BI Desktop be available to Federal and Local government agencies? 3. Will publishing Power BI products directly in SharePoint ever be available? 1. Qlikview is not a competitor, and doesn’t justify a comparison.. 🙂 To anyone arguing that I am wrong, please show me anything that Power BI cannot do, that is not offset or rendered unnecessary by something that it does offer, as I have not found it. 2. This is more a question of “when will Federal and local government agencies be comfortable with the solution?” The requirements are usually around SOC 1 and SOC2 (if I remember correctly) certifications, which you cannot apply for until being an established solution for two years). Secondly, they are typically hesitant because of data sharing risks, such as publish report to public site, share with others, Q&A, Cortana, etc.. This could be mitigated by the implementation and administration itself, but that is up to the governing body within the organization. 3. There are multiple ways to embed Power BI within your applications and other MSFT apps such as PowerApps. While I am not as versed on the capabilities within SharePoint, my response would be “very soon” or they offer something currently that would offset the use case, based on personal experience and the speed of development focused on Power BI by MSFT internally.